Park Keykengof (niderl. 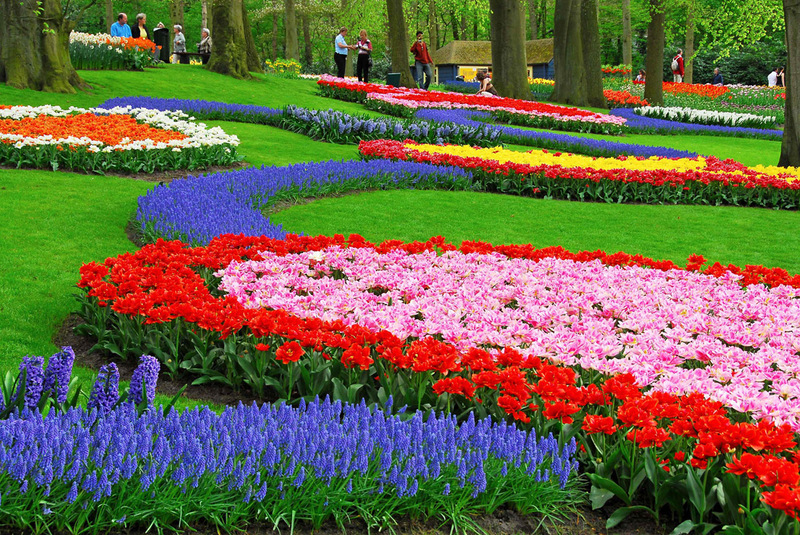 Keukenhof) is rightly called the most beautiful spring park in the world. 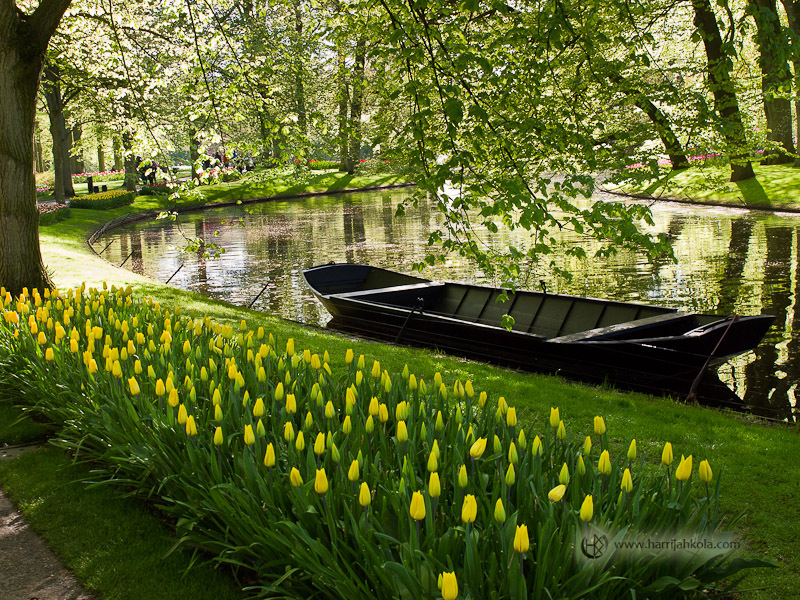 It is located between Amsterdam and The Hague in the small town of Lisse. Each year, the park is open for 2 months. 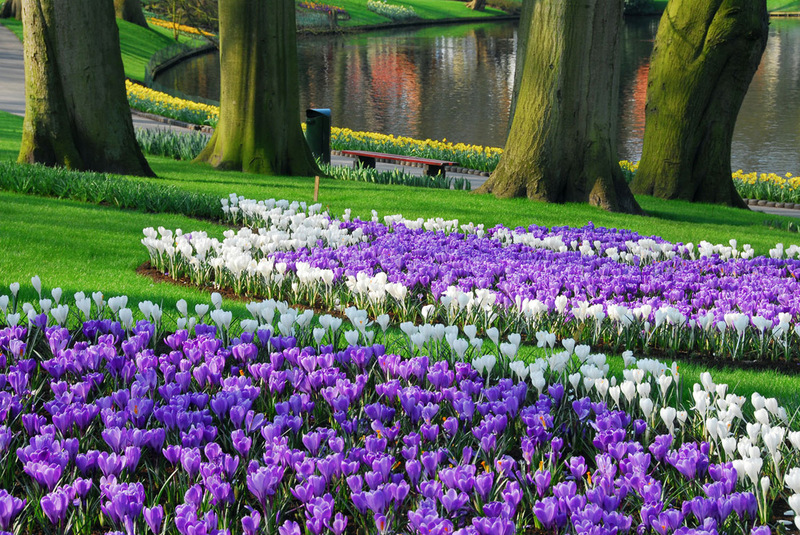 Daffodils, crocuses, hyacinths, muscari, and of course, tulips! 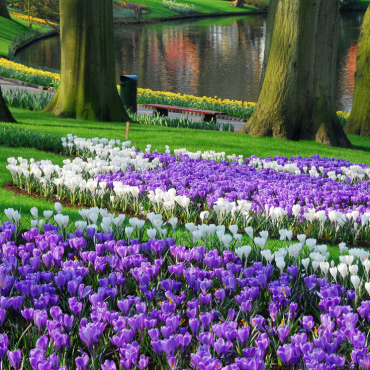 Spring bulbs are the exposition park’s favorites – 7 million bulbs are planted by hand, of which 4.5 million tulips, which here, by the way, grow in 100 varieties. 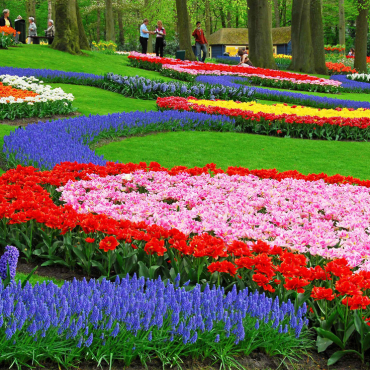 However, besides the bulbs, the park is also grown orchids, roses, lilies, gerberas, Hippeastrum, chrysanthemums, lilacs, azaleas, are growing at 2500 87 species of trees. 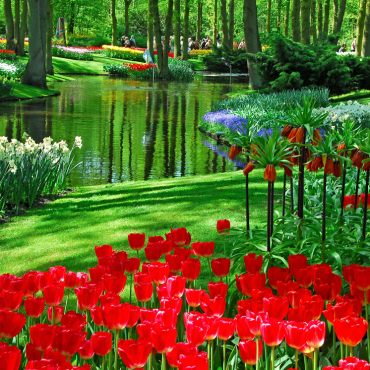 The park is gorgeous: everything is there for recreation and aesthetic enjoyment. 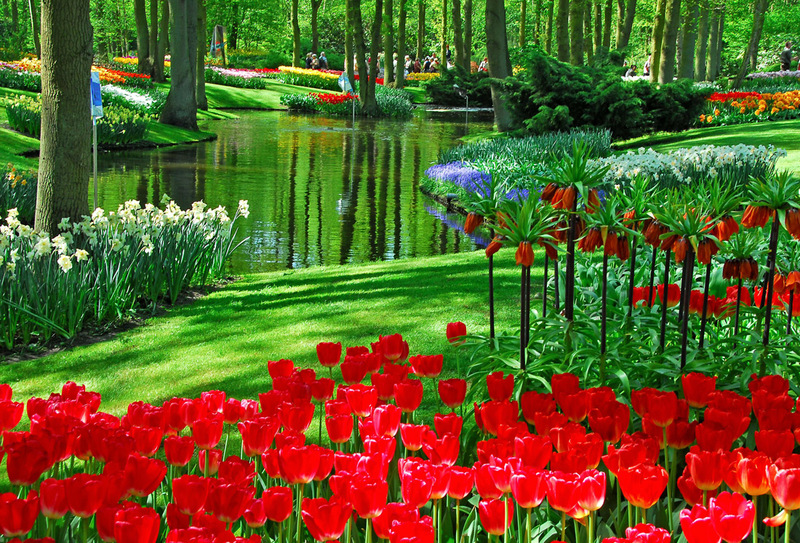 Fountains, floating flower gardens, restaurants, live music (symphony orchestra) and children’s playgrounds. 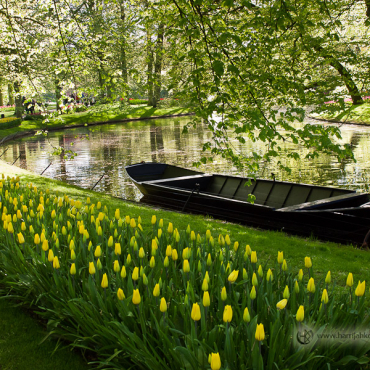 Visitors are offered walking (total length of track designed for walking – 15 km) and bike tours, which give this hire and unforgettable boat trips along the fields where they grow tulips.